Alia Bhatt, Vicky Kaushal and director Meghna Gulzar are eagerly waiting for the release of their upcoming film Raazi. 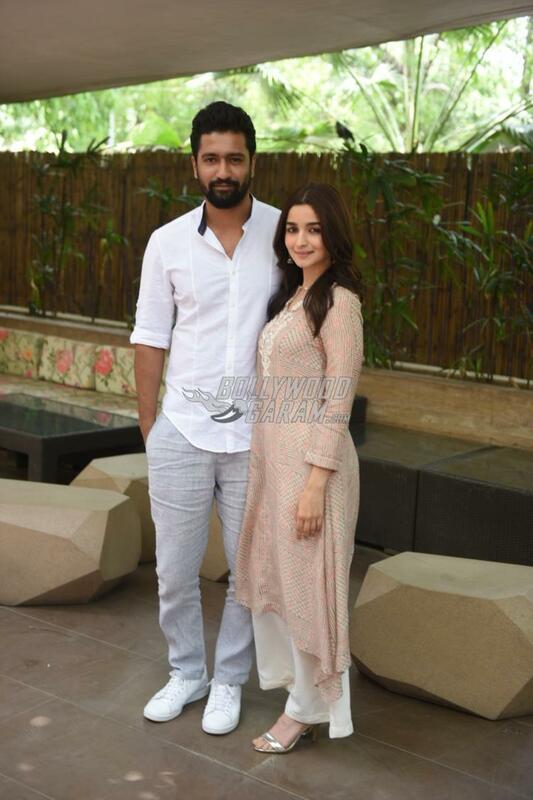 As the release date fast approaches, the actors and the director are reaching out different platforms for promotions. 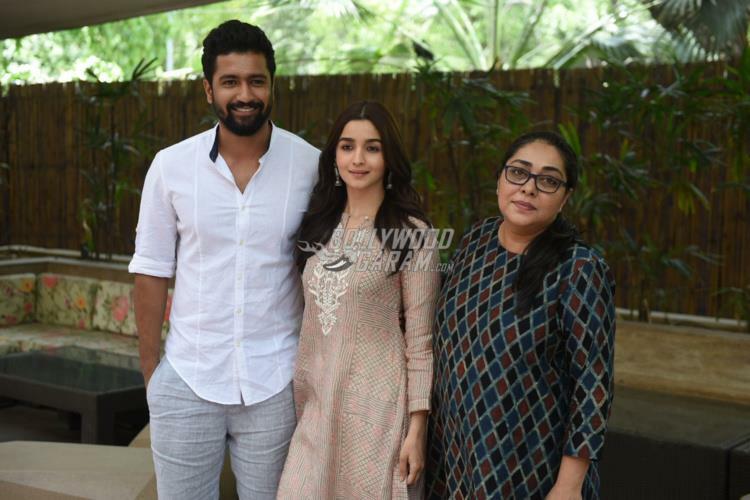 The Raazi trio promoted the film at an event in Delhi on May 8, 2018. 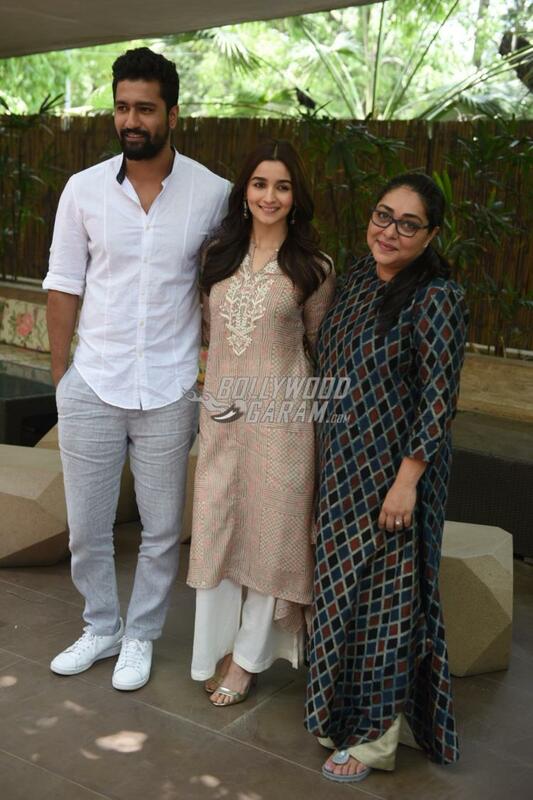 The Badrinath Ki Dulhania actress looked pretty in an onion pink kurta and white pyjamas while Vicky was at his casual best in a comfy white shirt and grey pants. Director Meghna too accompanied the actors and was seen in a maxi blue and black outfit. 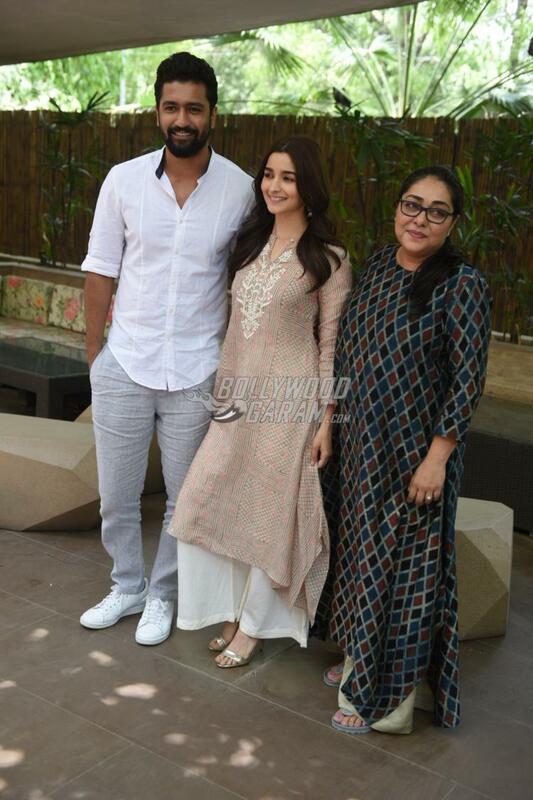 Alia will be seen playing the role of Sehmat a spy while Vicky will be seen as a Major in the Pakistani Army. The film is based on the best seller novel Calling Sehmat and is produced by Junglee Pictures and Dharma Productions. Raazi also stars Rajit Kapur, Shishir Sharma, Jaideep Ahlawat and Ashwath Bhatt and will be released in theatres on May 11, 2018.